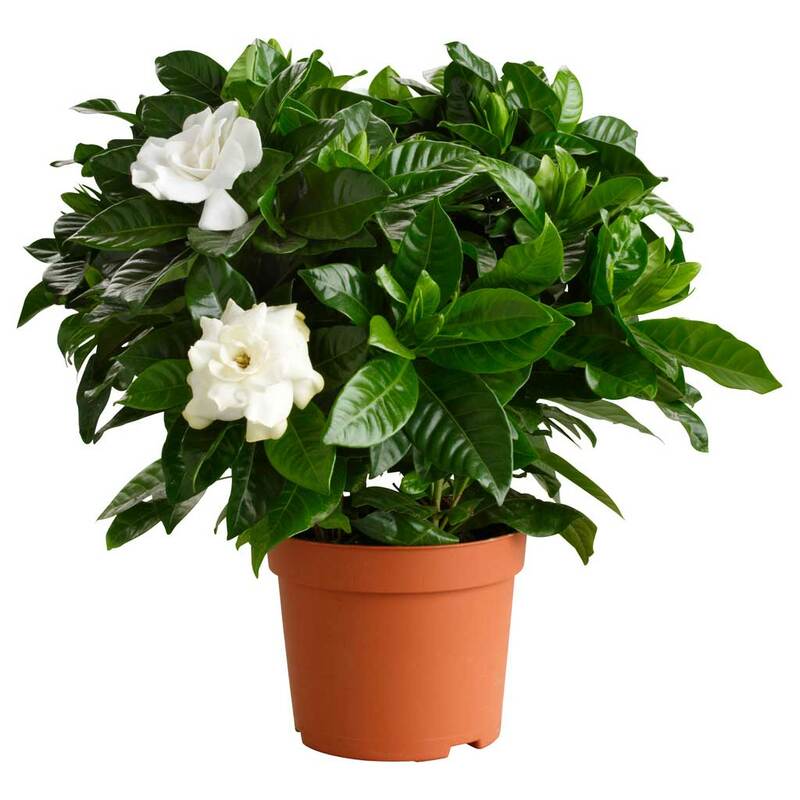 Gardenia is an evergreen shrub with leaves mostly deep green and glossy who likes to live outdoors. Our Gardenia is characterized by a very basket-shaped hair and an exceptionally rich buttoning, traits that are found in all sizes we produce, and “guaranteed” both in the flowering plants and in those held in greenhouses. Gardenia, native to the tropical regions of Africa and South Asia, includes numerous species (about 250 ), of which the most widespread in Italy is the Gardenia Jasminoides. It belongs to the family of Rubiaceae, the same as the coffee plant. It’s an evergreen shrub with deep green, shiny leaves. The flowers grow out of the axil of the leaves or at the apex of the branches and are white (or slightly speckled), fragrant, and they are individual flowers. It particularly enjoys the outdoors and under good conditions, it can grow up to 2m in height. Indoor, it hardly rise more than 1 meter. The gardenia is prized for its leaves of a very deep green, glossy and leathery, and his extraordinarily fragrant creamy-white flowers that grow out of the axils of the leaves. The gardenia jasminodes is the most cultivated and widespread specie in our climate. It was introduced in Europe around 1761 from China and Japan, and was dedicated to Alexander Garden, naturalist native of North America , from which comes the name of the genre (Gardenia), while the species name (Jasminoides) comes from Jasmine, of which recalls the scent. It’s a shrub with shiny and evergreen leaves. The flowers resemble those of camellia and are about 8 cm in diameter. They are very fragrant. The flowering of gardenia jasminodes takes place from June to September, and it is the most rustic specie. The Gardenia has had a great popularity in the 20s since it was associated with the figure of the “bon vivant”, a man addicted to worldly pleasures and fun, that always wore it in his buttonhole. The British had also invented a small glass vial containing a few drops of water to put under the collar to hold the flower in the water to remain fragrant. Due to its characteristics, flowering lasts only a few days , it has inspired in each case the symbol of the transience of beauty. Do not ever listen to the flowers. Just look at them and smell them. In spring - summer be careful that your gardenia does not receive direct sunlight but is placed in a lighted area .. If the outside temperature exceeds 20-22 °C it is appropriate to put the plant in a shady area . In the autumn - winter, we must be careful that in the area where it is placed , the temperature does not fall below 12-13 °C. Also drafts must be avoided. 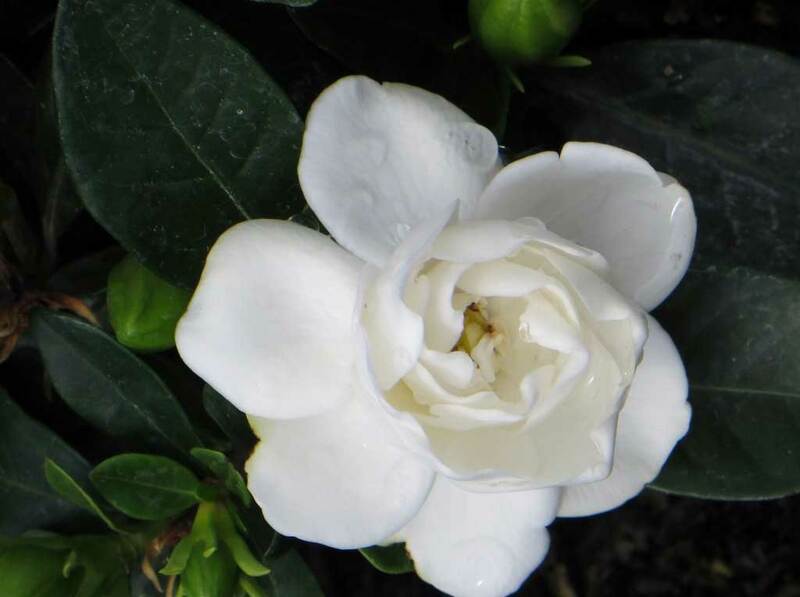 The gardenia plant is very delicate and should be treated carefully. The water used for watering should be warm and non-calcareous. If you have the problem of lime water, it would be appropriate to first boil it and add a few drops of vinegar. The soil should always be moist. Be careful not to give too much water. Stagnation in the jar should be avoided. They benefit from moisture so it is a good idea to spray the leaves with water only, taking care not to wet the flowers that would otherwise tend to yellow. Also, to maintain the moist environment around the plant you can put in a sufficiently large saucer, gravel or expanded clay on which to rest the vessel. Always leave a bit of water in the saucer, making sure, however, that this is not in contact with the bottom of the vessel. It should be used for the gardenias a liquid fertilizer, diluted in the irrigation water, every 15 days in spring and summer and once every 2 months in the autumn - winter . A tip: when you go to buy a fertilizer , do not take the first one occurring under your eyes, read the composition on the back of the pack and prefer fertilizers that in addition to the main elements such as Nitrogen (N), phosphorus (P), Potassium (K) also contains the so-called trace elements, namely those compounds of which the plant needs in a minimum amount (but has still needed) such as iron (Fe), zinc (Zn), Manganese (Mn), Copper (Cu), boron (B). The gardenia goes repotted in early spring, between April and March, very carefully, without damaging the roots. It prefers an acidic soil rich in peat. Usually, after the gardenia bloomed it’s a good habit to shorten the branches to maintain a compact and tidy looking. During the summer you will also lop the topping of the vegetative apex to have a bushier gardenia. Take care that the tool you use for the cut is clean and disinfected (preferably flamed) to avoid infecting the tissues. The multiplication of the gardenia is by piping or seed. 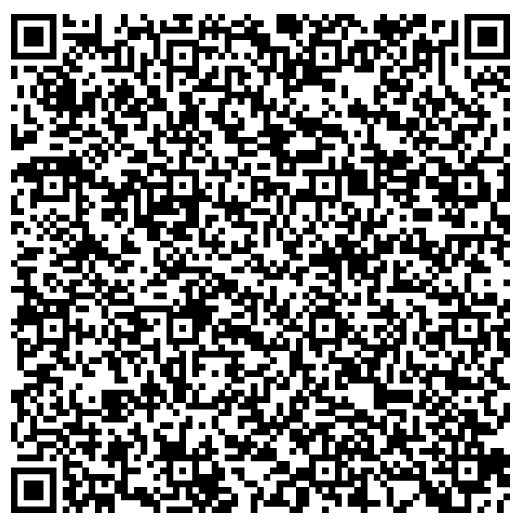 When choosing the technique to be used should be noted that the multiplication by seed has the disadvantage that, because of genetic variability, it is not certain that you will obtain the same as the mother plant, in which case if you want to get a precise plant or you are not sure of the quality of the seed that you are using, it is good to prefer multiplication by piping. Brown spots on the undersides of leaves could mean that you are in the presence of Cochineal and in particular the brunette. If you notice on your gardenias small white- yellowish- greenish insects you are almost certainly in the presence of aphids or as commonly are called “lice”. As a remedy, it is advisable to treat the plant with specific pesticides readily available from a good nursery . It likes better the strong light, so it can also be exposed to full sun. 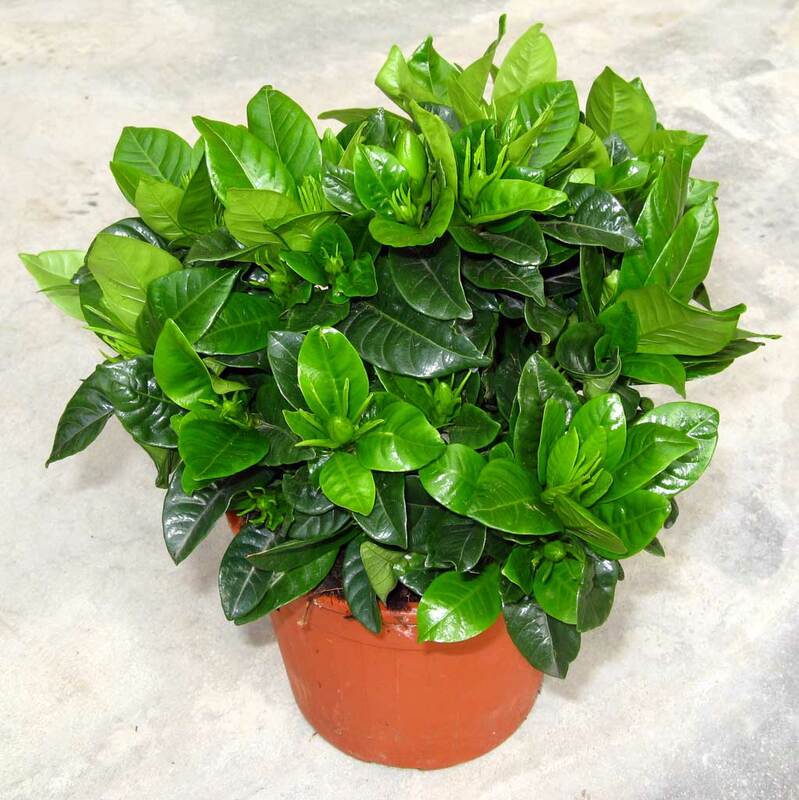 Maintain the environmental humidity by spraying the plant every day. In spring and summer keep the soil fairly moist without excesses. Use liquid fertilizer specific for acidophilic plants every time you wet the plant. Interrupt fertilizing during the winter.